Now that we are in winter and the weather has gotten colder, our exposure to these risks has increased. Ice and snow are a given, but even a thin layer of frost can create an unexpected slippery surface. According to the Bureau of Labor Statistics, there were 42,480 workplace injuries involving ice, sleet or snow in 2014. Injuries from these accidents range from bruised tailbones to sprained body parts and broken bones. 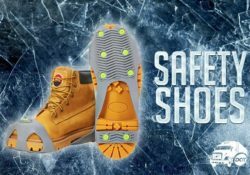 While accidents happen everywhere, there are easy actions you can take to help prevent winter-related injuries. Everyone can avoid a trip to the doctor or emergency room (and subsequent medical bills) by using a marvelous invention called Spare Spikes. This traction footwear is a piece of rubber embedded with spikes that slip over shoes and boots. It takes only seconds to put on or remove. These shoes have been invaluable to all who wear them. So far I have not witnessed anyone slip or fall while wearing Spare Spikes. 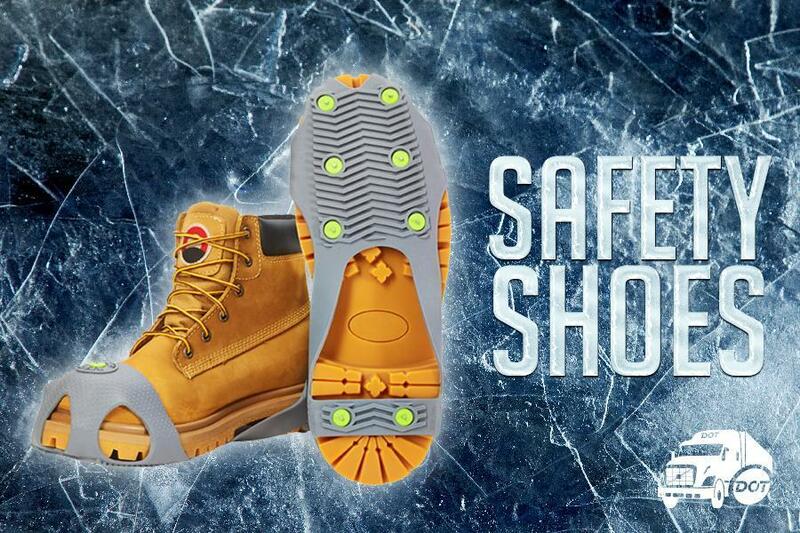 This winter safety addition to your wardrobe can be found online for about $25 per pair. You can order your Spare Spikes through your DTI management team, though, for only $5 for the first pair and $24.95 for the second pair. At Dot, we are adamant about encouraging truck driver safety as well as the safety of all employees. We teach our truck drivers the Smith System of driver safety and also offer corporate incentives for safety, recognizing the drivers who embody our values most. Whether you’re making cross-country deliveries or are simply walking into our headquarters or distribution centers, we want you to have a safe and enjoyable year. I encourage you to protect yourself (and your wallet) this winter by making a low-cost investment in your safety. Let us know what you think about your Spare Spikes. What winter safety tips do you follow? Share them with us!